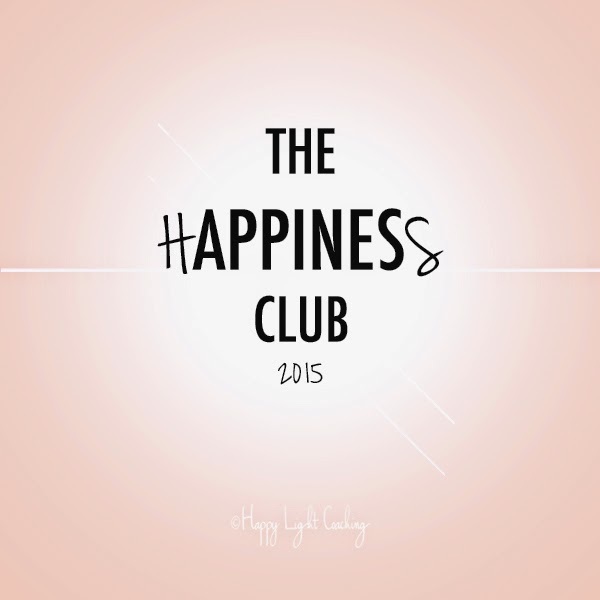 After scrolling through my newsfeed to a post by Psychologies (the only magazine that I tend to buy) regarding The Happiness Club I thought, a happiness club? Why not? It sounds right up my street. Although I am on the other side of the world far away from friends who would join me (just so you know, I moved to Singapore a few months ago) it felt like a good opportunity to connect with those who I have met and get to know a few more people while putting what I have been trying to promote to the test. In preparation for our first session and out of my need to make sure I understood what happiness meant to me I wanted to do a little recap. Surely I know what it means, don't we all? Merriam Websters Dictionary outlines the following definition for happiness. The Oxford dictionary also defines it as the 'state of being happy'. Sounds about right. However I do wonder how many of us experience happy states. At times we see 'happy days/moments/years' as something that has happened to us in the past or something that will be achieved in the future, when we get that perfect job, salary, house, partner, baby, holiday, car, dress etc. We may think happiness is just around the corner or when we reach a certain goal. How many of us realise and are aware of the happy moments we have now? Do we take them for granted? Is being 'happy' every other day enough for us to say we are happy? How many happy moments do we even need to experience in order to be able to say "I have happiness in my life"? We can be happy one minute and sad the next so the state of being happy can be fleeting and based on whether the experiences are 'happy' ones. 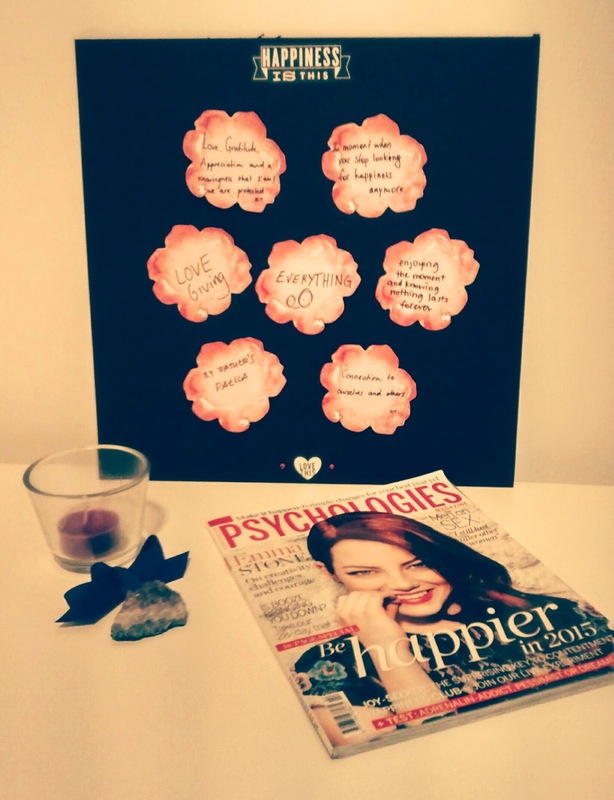 Is happiness constant or dependent on what is happening around us and to us? Or is happiness simply a state of mind which can be controlled? If this is the case, what can we do about it? Well we could recognise when we are not happy and find things to get us back to being in a happier state. But what happens when something traumatic occurs in our life...is this the exception? More than likely happiness is knowing that life has unhappy moments that need to run their course and does not mean we have failed in anyway. Surely there is happiness in knowing we do not need to be 'perfect'. Maybe we just need to change the idea we have about happiness in to what makes us happy and stop comparing ourselves to the next 'happier' person. As a preliminary task and one we could always revisit I asked the group to write what happiness means to them. The task seemed easy to do but we surprisingly found it difficult to immediately pinpoint what it was that brought us happiness. Here is our board of happiness so far. 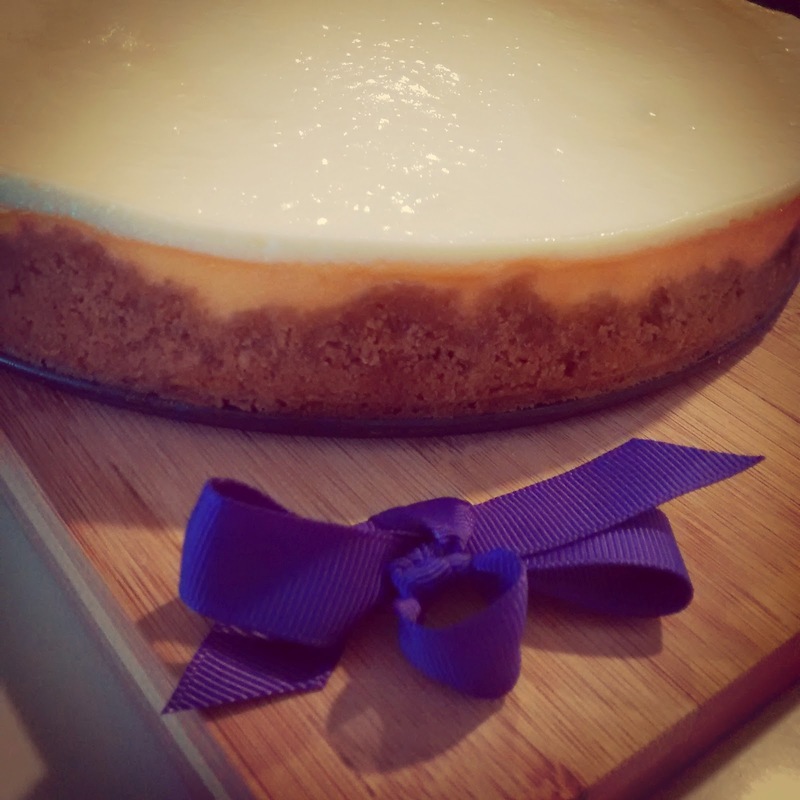 The Happiness Club launches with a cheesecake! Our first session began well before it was meant to. My friend Maria came to teach me how to make her yummy cheese cake. She kindly gave up her afternoon (something we reminded her during the session as an example of her giving) to purchase ingredients and come over to mine so that we could make a cheese cake for the group to enjoy at the end of our session. There were 5 of us at our first session and because everyone came ahead of time there was no need to break the ice before I delved into reading the first article. Below are the questions we answered and a quick note on what we shared with each other. 1. What have you done recently for others? How did it make you feel? As we searched our brains for a recent memory of 'giving' we realised that this is one of our problems, we forget what we do for others! Many of us simply do things and do not think about whether we are giving someone something or not. - volunteering for the Red Cross. - being part of a Mexican community project. The member who mentioned this last example explained this had happened to her and she remembered feeling very grateful for the help. This made her sympathise with the girl she had helped. I wonder whether this made her more inclined to help? Or would she of done this regardless of whether or not someone did this for her? Do you find yourself thinking: They have helped me so I should do the same or because no one helps me I am not helping them? I guess it is something to think about. Some of the acts of kindness above are extremely small and others serve a greater purpose. Either way the result of giving any of these things to another person brings a smile, laughter, a connection and a feeling of being cared for - all things that make us feel happy. 2. When have you felt resentful when you've been giving? Why was that, do you think? We thought of times when family/close friends have not appreciated our efforts of giving which left some feeling they had been betrayed. Most of us are here because of our partners career so resentment could make its way to the surface if we feel our efforts and role are not being acknowledged. One way we have actually prevented it occurring and it turning into a big issue is by meeting up at least once a week to either exercise, explore the city or just hang out together. 3. Can you remember the last time that someone gave to you unconditionally and how did that make you feel? Many of us thought of our parents. They have helped some of us professionally, doing favours constantly, being ready almost on demand to help us out. Others thought of how our partners have helped on days when we felt run down or frustrated despite their long day at work. 4. How easy or difficult do you find it to ask for or receive help? We agreed that it was easier to accept help if it was being offered to us. Asking for help was a little bit more difficult due to past experiences we have had that involved asking for help which backfired on us. For instance, some people have lost friends after asking them for help, others experienced uncomfortable situations as those who said they would help became resentful. It has left a feeling that it is better to do things for yourself. We found this difficult as what we came up with involved us interacting with others. Some of us spend a lot of time at home studying or working and the thought of having to give daily (that didn't involve our partners) may have sent anxiety levels rising. We imagined ourselves running outside looking for an elderly lady needing help crossing the road or jumping on the MRT and giving up a seat to someone only for them to dismiss us which would mean we would have to beg them to sit just so we could 'give' to someone! We decided to set an achievable time scale such as giving weekly or monthly so that we do not have to change the group name to The (Un)happiness Club...now that would be just too sad. Here are our goals for this month!